Retail POS System is considered as a central component of a retail business that has combined the software as well hardware and allows the traders to take transactions as well as simplify the business operations. It has streamlined the retail process, track the inventory and control the complete cash flow. Nowadays retail POS system is an important part of the retail business’s success. The selection of accurate and reliable retail POS system for any business is a quite challenging decision, therefore, keeping in view the difficulty, as well as challenges of the retailers here, are some tips that helps on the selection. How to select the Retail POS system? If you have decided to have a retail POS system for your retail business, the first step should be understanding your business requirements. The retail point of sales system keeps the complete track of your business activities in sales as well as inventory along with different other offers. Therefore it is important to understand the need or the requirement of your own business, you may able to select the best for your business. The retail POS system for your retail business should provide the high-quality performance. Yes, quality is no doubt an essential factor of concentration during the selection of retail POS system. You are going to invest for the sake of boosting the productivity of your retail business that could only earn with the high-quality performance. So don’t try to save some pennies with the sacrifice of quality because in such a way you may lose your sales and increase the business problems. The retail POS system should be advanced and flexible according to the business and technology requirement. At the time of investment, first of all, there is a need to find out the basic or key requirement of your business as well as the possible business growth. 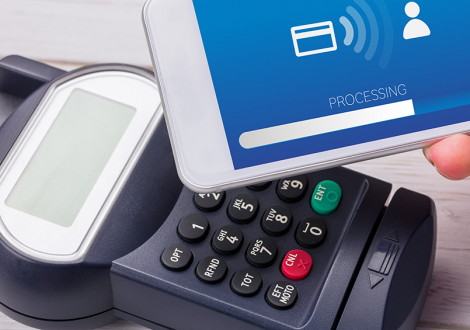 You can’t change the retail POS system, again and again, therefore, it is important to choose the flexible system with advance payment moods, CRM and security procedures. Don’t ever directly invest in retail POS system, but there is a need to check the product references to know and understand more about the system. These references are going to explain you the system in detail, you may also know whether the system is capable enough with your business or the retail POS services provider is just used the details just to impress you. If your retail POS system is down, you’re definitely going to have a business or money loose. So it is important to select the retail POS system from the service provider who is efficiently providing the technical support immediately with minimum time period. Normally the service providers make themselves available for 24/7 and get back to the message in maximum 24 hours. In retail point of sale system, you should prefer the functionality of the system instead of ease of use. If your business orders are complicated, you should be more concern regarding the features or the functions of the system. If your retail POS system is not easy or simple it could be done with the complete training of your staff but if it is missing the important features they could cause problems and increase the difficulties. Before finalizing the decision of buying retail point of sale system for your retail business take a complete and free trail of it. Make it sure the checking of complete functionality and check whether it meets your business requirements or not. Try to use a complete free trail for your own understanding along with complete basic functionality. Your brand or business is emotionally connected with your customers therefore always make it sure that you’re giving them according to their requirements as well as making them feel good or satisfied regarding your business. While selecting retail POS system to keep the customer’s satisfaction your own concern.